At Absolute Companion Care, the word “absolute” isn’t just part of our name; it defines who we are. Our highly-educated, professional leadership team and exceptionally trained caregivers provide the most comprehensive home care services that you can be certain will enhance your or a loved one’s quality of life. Contact us to learn more about how we can help your loved one by providing top-quality senior care services. Absolute Companion Care was founded in 2006 by a local resident, whose decades of leadership and experience in teaching undergraduate health sciences and graduate medical education, combined with her desire to serve, led her to home care. The vision for Absolute Companion Care was formed after the agency’s founder personally assisted an older adult neighbor who needed consistent, dependable, and high-quality home care. Dismayed by the lack of quality care options available in northern Baltimore County, Maryland, Absolute Companion Care was established to serve the community’s growing need for community-based elder care services. Absolute Companion Care is licensed by the State of Maryland Department of Health and Mental Hygiene; Office of Health Care Quality. Our licensure is formally listed as a Residential Services Agency with a skilled nursing component (License #R4138). We are members of the National Association for Home Care and Hospice, the Home Care Association of America, the Private Duty Home Care Association, and the Caregiver Action Network, and we are a Better Business Bureau A+ accredited company. At Absolute Companion Care our mission is to serve as the model for at-home care in Maryland by providing professional and dedicated caregivers who deliver skilled and compassionate care. Kathryn received a master’s degree in Education from Towson University with a concentration in Human Growth and Development. She brings three decades of teaching and nine years of providing in-home care for elders in the Baltimore community to her role as the managing director of Absolute Companion Care. Kathryn recently accepted the position of Executive Director and brings a new dynamic to the office. Her personal experience with dementia and her commitment to dementia research with Johns Hopkins and Northwestern Hospitals has given her a level of education in the field which has been instrumental to the care and support of her clients. Kathryn regularly speaks to the SPL graduate degree candidates at Loyola University to assist in their studies of the benefits of early intervention for language-based dementias. Kathryn has built an ongoing relationship with the community and directly with her clients which has served her well in her efforts to assist her clients in their quest to age in place. Kathryn also develops ongoing interactive educational sessions that provide our caregivers with the tools they need to help our clients in the best ways possible. As Absolute Companion Care’s training and clinical oversight manager, Robin provides in-home care assessments for new clients and works with clients and their loved ones to develop a personalized care plan. 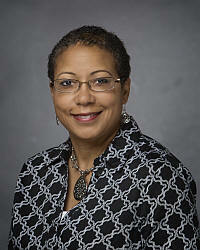 Robin received her Bachelor of Science degree in Nursing from the College of Notre Dame of Maryland. She has practiced nursing across a variety of disciplines during her three decades of professional experience, including orthopedics, workers’ compensation, and home care. 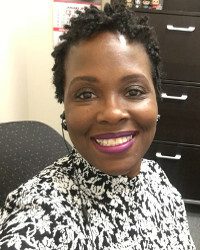 Robin specializes in geriatrics with a certification in case management, and has been teaching and training Certified/Geriatric Nursing Assistants since 2007. She is also credentialed to teach and certify Basic Life Support CPR, Heart Saver CPR, and First Aid. Tracey has been a caregiver with Absolute Companion Care since January 2015 and has been providing in-home care to clients since 2013. She was promoted to Care Coordinator in April 2018 and brings a wealth of knowledge and life experience to our team. Some of Tracey’s professional experiences include working in a human service setting where she assisted clients who experienced difficulty navigating various state-offered services. 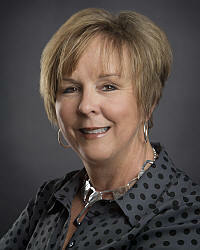 Additionally, Tracey has experience in sales, marketing and client retention in various corporate settings. Having a Certified Nursing Assistant as our Care Coordinator sets Absolute Companion Care apart from other home care agencies because it gives us the ability to match clients with the right caregivers based on level of care needed, as well as client/caregiver personalities. Not only is Absolute Companion Care dedicated to providing the gold standard of care to our clients, but we are also committed to providing exceptional training and mentoring to our care staff. To do this, we have partnered with the Institute for Professional Care Education (IPCed) to offer custom home care training programs to all our caregivers. Certified, utilizes a variety of training tools to ensure our caregivers’ skills stay sharp. Specialized, includes training in Alzheimer’s disease, diabetes, and end of life care. Master Caregiver, provides training in Parkinson’s disease, first aid, leadership, and more. The Absolute Companion Care team is committed to providing the best possible senior and dementia care in Towson and the surrounding area, and we take our clients’ input very seriously. 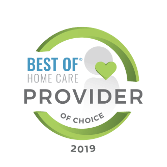 We partner with Home Care Pulse, an independent customer satisfaction firm, to collect client feedback to help us evaluate and improve our home care services, and we are honored to have achieved their Provider of Choice designation. Agencies who receive this award have gotten the highest customer satisfaction scores from their clients, based on live phone interviews conducted by Home Care Pulse over at least a six-month time period, and this recognition helps reassure our clients that our agency is dedicated to their satisfaction. Absolute Companion Care is also proud to be a Best of Home Care Employer of Choice! This designation is based on client and caregiver satisfaction scores from several categories, including Compassion, Work Ethic, Communication, and Training. Agencies who have received the Employer of Choice recognition have employee satisfaction scores that rank in the top percentile nationally. We are dedicated to providing a work environment that allows our caregivers and staff to feel confident and satisfied. As a leading Maryland home care agency, we know that feedback from our clients and our employees allows us to improve our processes and services and provide a better experience for our clients and caregivers. To obtain honest, unbiased feedback, we work with Home Care Pulse, an independent satisfaction management company, to continually evaluate our progress and make the adjustments necessary to grow our business. Not only are we accredited by the Better Business Bureau, but we are proud to have achieved their highest possible rating of A+. An A+ rating sets Absolute Companion Care apart as a business that has received outstanding reviews, few (if any) complaints, and has maintained excellent standing in terms of licensing, advertising, and upholding commitments. We are honored by this designation, and are committed to continuing to provide the very highest possible quality of care to those we serve. In 2017, Absolute Companion Care became a proud member of the Briggs Healthcare family. Briggs, a trusted partner to the healthcare industry for over six decades, serves more than 50,000 customers in the senior care, home care, acute care, physician and retail markets, and is dedicated to advancing premium services and products to support the aging population. Absolute Companion Care and Briggs Healthcare share a unique vision for creating innovative solutions to meet the care needs of our clients. Backed by Briggs and their extensive clinical experience and regulatory knowledge, Absolute Companion Care has the freedom and ability to expand upon our already high quality care services, offer more professional training to our caregivers, and provide an enhanced care experience to our clients. Want to learn more about Absolute Companion Care’s Maryland home care team? Call us at 410-357-9640 or click the button below and a member of our staff will be happy to help you.